Joanna macy Ph.D, author & teacher, is a scholar of Buddhism, systems thinking and deep ecology. A respected voice in movements for peace, justice, and ecology, she interweaves her scholarship with learnings from six decades of activism. 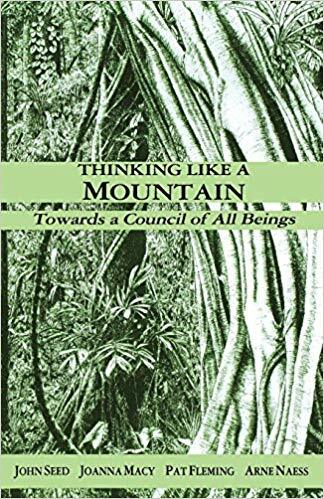 Her wide-ranging work addresses psychological and spiritual issues of the nuclear age, the cultivation of ecological awareness, and the fruitful resonance between Buddhist thought and postmodern science. 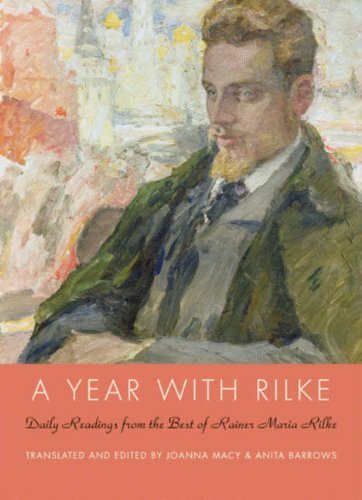 The many dimensions of this work are explored in her thirteen books, which include three volumes of poetry of Rainer Maria Rilke with translation and commentary. As the root teacher of The Work That Reconnects, Joanna has created a ground-breaking framework for personal and social change, as well as a powerful workshop methodology for its application. Based in Berkeley, California, close to her children and grandchildren, Joanna has spent many years in other lands and cultures, viewing movements for social change and exploring their roots in religious thought and practice. Since the early 1980’s her travel was governed by invitations to teach the group work that she and a growing number of colleagues were developing. Many thousands of people around the world have participated in Joanna’s workshops and trainings. These methods, incorporated in the Work That Reconnects, have been adopted and adapted yet more widely in classrooms, community centers, and grassroots organizing. In the face of overwhelming social and ecological crises, this work helps people transform despair and apathy into constructive, collaborative action. It brings a new way of seeing the world as our larger living body. This perspective frees us from the assumptions and attitudes that now threaten the continuity of life on Earth. 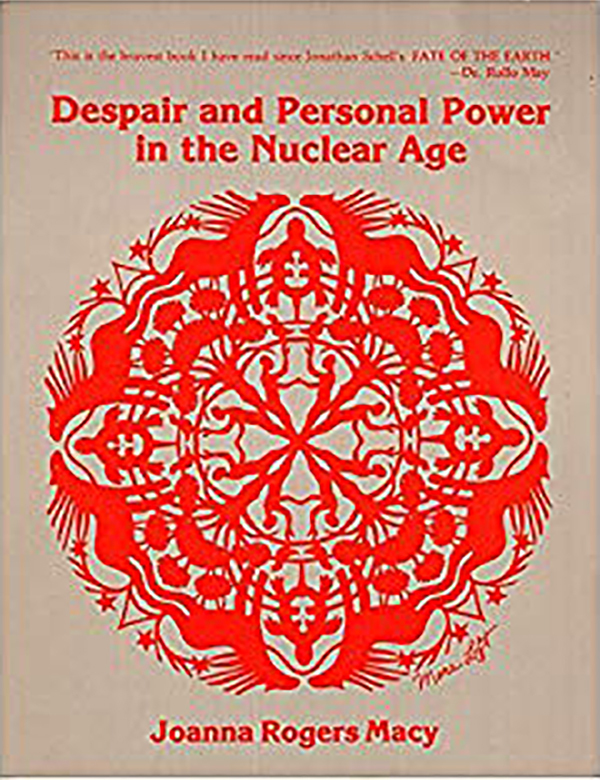 Over the course of her life, Joanna has given much thought to the moral and psychological challenges presented by nuclear weapons and energy production. Some of her writings regarding Nuclear Guardianship and Guardianship Ethic will be shown on this site in the near future. THE WORK THAT RECONNECTS IS A FORM OF GROUP WORK DESIGNED TO FOSTER THE DESIRE AND ABILITY TO TAKE PART IN THE HEALING OF OUR WORLD. Since its inception in the late 1970’s, it has helped countless thousands of people around the globe find solidarity and courage to act despite rapidly worsening social and ecological conditions. This work is also known as Deep Ecology Work (as in Germany, Russia, Ukraine, and Kazakhstan), Active Hope (as in Japan) and Despair and Empowerment Work (as it was known in its first years). This work can be done alone and has enriched many individual lives, but it is designed for groups. Its effect is deeper and more enduring when experienced interactively with others, for its approach is improvisational and its impact is synergistic. Workshops have varied in length from an evening to a full lunar cycle. From the first public workshop in 1978 it has been the aim of the Work to help people trust their raw experience and give voice to what they see and feel is happening to their world. Its interactive exercises frequently involve role-play and a shift in assumed identity; the Work aims to engage and expand people’s moral imagination, bringing wider perspectives on our world, while fostering both compassion and creativity. The Work That Reconnects is informed by Deep Ecology, systems thinking, Gaia theory, and spiritual traditions (especially Buddhist and indigenous teachings), as well as group wisdom from earlier workshops. Common to all of these is a non-linear view of reality. It illuminates the mutuality at play in self-organizing systems, and unleashes the power of reciprocity. Furthermore, central to our use of systems thinking and the Buddha Dharma is the recognition that self-reflexive consciousness is a function of choice-making. Whatever the limitations of our life, we are still free to choose which version of reality –or story about our world– we value and want to serve. We can choose to align with business as usual , the unraveling of living systems, or the creation of a life-sustaining society. The experiential work follows a spiral sequence flowing through four stages beginning with gratitude, then, honoring our pain for the world, seeing with fresh eyes, and finally, going forth. These consecutive stages reflect a natural sequence common to psychological growth and spiritual transformation. The Spiral is like a fractal, governing the overall structure of the workshop while also arising in its component parts. Within a given workshop, we can move through the Spiral more than once, and become aware that with every cycling through, each stage can yield new and deeper meanings. The critical passage or hinge of the workshop happens when, instead of privatizing, repressing and pathologizing our pain for the world (be it fear, grief, outrage or despair), we honor it. We learn to re-frame it as suffering-with or compassion. This brings us back to life.